Music Therapist Job Description: Music Therapists help patients reach mental health goals through musical treatments. A Music Therapist is a healthcare professional who works with a variety of patients to improve mental health outcomes through individualized, clinical and evidence-based treatment plans. These plans may include specific therapies such as listening to music, playing music or even creating music. Patients who seek music therapy can be young or old and may have a range of conditions like Alzheimer’s, developmental delays, mental illness, chronic diseases, long-standing pain, etc. Often, music therapy, as well as other careers in arts in health, can be used to reduce stress, lessen muscle tension, lower blood pressure and even boost immunity! Alternative careers in arts in health include that of a Art Therapist, Medical Illustrator and Medical Photographer! Conroy explained that careers in music therapy are much more varied than one might assume. 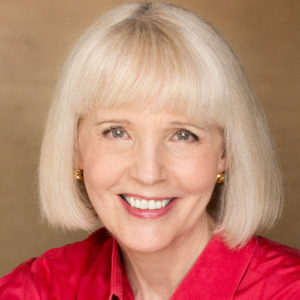 During her own career she recalls having worked not only with many diverse healthcare patient populations, but also with educational programs and social service venues. Learn what a day working in a music therapy career is like today! Daily Healthcare Career Info! Follow Us. Stay connected to the latest Healthcare Career Advice easily through Facebook. After obtaining a high school diploma, there are a few different pathways one can pursue to become a Music Therapist. Students can choose to enroll in an online or campus-based undergraduate program to obtain a Bachelor’s Degree in music therapy. This degree includes coursework designed to teach students how to assess patient needs, develop treatment plans and evaluate progress. Alternatively, individuals can pursue this healthcare career after graduating with a degree from a related field such as psychology, music, or counseling. Degrees in psychology, music, social sciences, behavioral sciences, biology are most helpful. After a Bachelor’s Degree is obtained, new graduates must complete an American Music Therapy Association approved training program and internship. Following this, they must register and pass the licensing exam administered by the Certification Board for Music Therapists to gain their credential as a “Music Therapist-Board Certified” (MT-BC) . Music Therapists may then decide to further their education by enrolling in a Master’s Degree in Music Therapy or even a Doctoral degree. These advanced degrees will expand upon clinical, research and academic ideas related to music therapy. Beyond the advanced educational degree pathways mentioned above, Music Therapists can also consider internship opportunities or enrolling in specialized online Continued Education Courses to further improve their marketability. 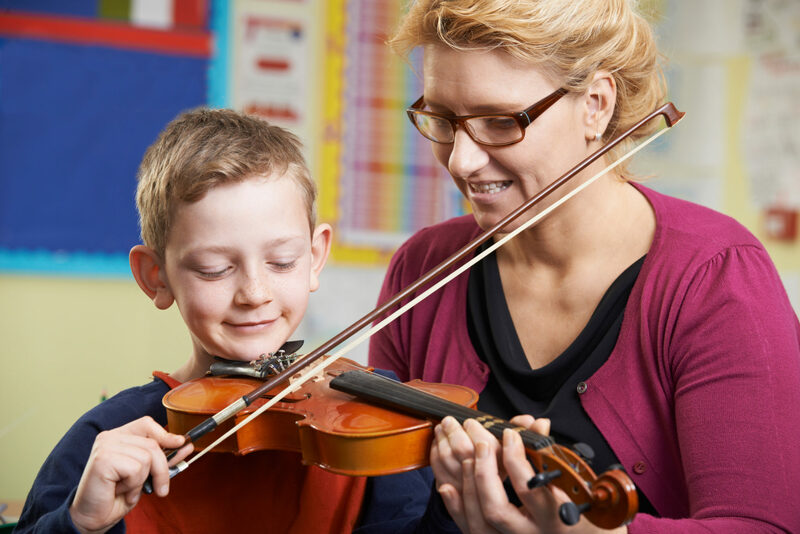 Advanced degrees and specialized courses provide Music Therapists with the opportunity to add additional skill sets and increase their knowledge about the industry. Through founding “Music Gives Life,” Conroy brought musical performing into the lives of senior citizens who thought their lives were over. During this time, she would offset costs and received tuition credits by supervising interns. While most Music Therapists spend the entire careers working with a single population, her career in healthcare has been unusual because she treats patients of all ages and diagnoses. Conroy pointed out that most Music Therapists are already great musicians when they begin their music therapy training. She warned, however, that a knowledge of music is not all that is required in this career. Rather, individuals must be able to understand and use psychological principles to most effectively work with a variety of patient populations. Prior to practicing in the field, such professionals must also grasp the foundations of music and the principles of therapy, as well as understand human development and exceptionalism. To use music as therapy, professionals must first-and-foremost remain passionate about the use of music as a form of expression. Then, to transform this passion into a career as an effective Music Therapist, individuals must become dedicated to helping others overcome mental health challenges by empowering themselves. Those considering this profession should therefore be kind, considerate and caring and open to the idea of using music to counsel patients while offering empathy, support and guidance. To achieve successful outcomes, Music Therapists must also develop strong relationships with their patients. They need to be able to work with patients of all ages and abilities, as well as be adaptive and resourceful. “Being super smart, funny and loving are also beneficial in this role,” Conroy exclaimed. While the lifestyle of a Music Therapist largely depends on their employment setting and the types of patients they see, most of these professionals will work with multiple patients during a single day. Patients are seen on either an individual basis or in a group setting. The number of hours a Music Therapist works per day will reflect how many patients they are able to connect with. Most Music Therapists who are employed by a company or facility will work about 40 hours per week, which sometimes includes evening, night and weekend hours, to best accommodate patient schedules. Those who own and operate their own practices can have more flexibility. Now is a great time to enter a career as a Music Therapist! This healthcare career is projected to grow at a rate of 12 percent over the next decade. This growth can largely be attributed to an increased emphasis on holistic treatments and therapies. Learn how holistic recreational therapy is also used to treat clients and patients! Also, as mental health awareness expands, there is an increased demand for effective methods of intervention. Furthermore, the American Psychological Association (APA) has demonstrated through extensive research that music has the ability to positively stimulate the brain in a number of ways. Music Therapists can find employment in a variety of workplace settings. However, they most often gain employment at hospitals, schools, rehabilitation centers, mental health facilities and more. Many of these professionals also work in private practices including the offices of Family Physicians. While the median annual salary of a Music Therapist rests around $40,000 per year, the salary is known to range from $25,000 to $75,000 annually. So, what influences the salary most? Factors like an employer’s geographic location and compensation rate, a professional’s experience level and number of hours working a week most affect this salary range. The American Music Therapy Association (AMTA) is an organization focused on progressive development of the therapeutic use of music in rehabilitation, special education and community settings. The AMTA is also committed to the advancement of education, training, professional standards, credentials and research in support of the music therapy profession. All statistics are provided by the Bureau of Labor Statistics. Meet the professional: Christina Britton Conroy, M.A., C.M.T., L.C.M.T. What’s the number one mistake people make when trying to get into this career? Why did you choose to become a Music Therapist? A career in healthcare as a Veterinary Technician may be the perfect alternative for a professional who wants to work with animals, but does not want to spend the required 7 to 9 years in school. Rather, becoming a Vet Tech merely involves completing a 2-year educational program or obtaining an Associate’s Degree in veterinary medicine / technology. Although working as a Radiologic Technologist is an exciting and rewarding career, because the work stems from a career in radiology professionals may fear that they might succumb to negative effects of radiation or that they are at higher risk for certain cancers. Although they share some of the same core responsibilities and are all front-line healthcare providers, Nursing Assistant, Nursing Aide and Orderly careers are not totally identical. Ultimately, they differ in terms of educational requirements, assigned tasks, amount of interaction with patients and salary.